My 2 year old daughter Sadie wanted to be Cinderella but said she needed a pumpkin coach! 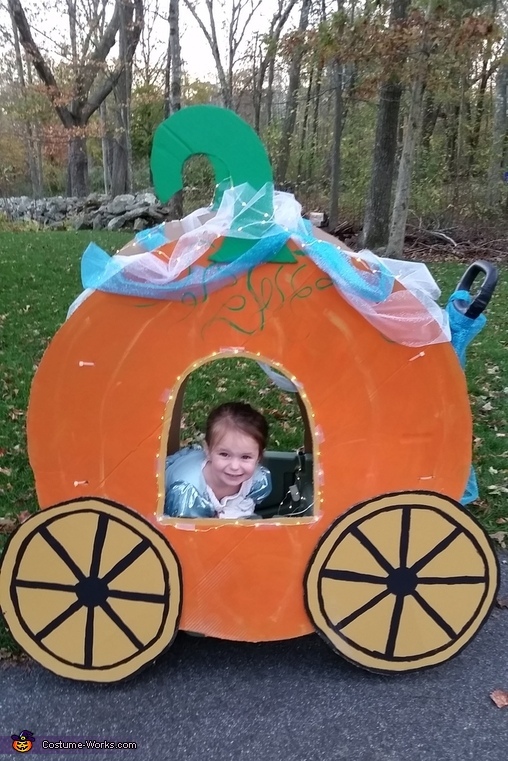 I used cardboard cut,decorated and attached to wagon. Added tulle and lights for sparkle!